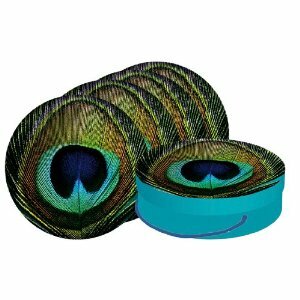 Paperproducts Design Dessert Plate Set features vibrant Peacock pattern. Set of 4 porcelain plates are packaged in coordinating round box that is perfect for gift giving or storage. Each plate measures 8.25 inches round.